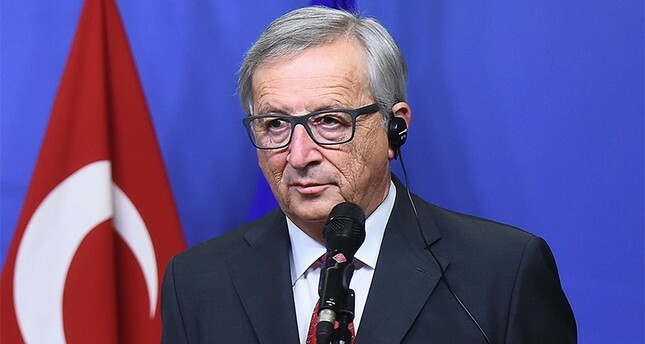 The European Commission President Jean Claude Juncker argued against suspending accession talks with Turkey in an interview broadcasted Thursday. Speaking to German broadcaster ARD, Juncker acknowledged the success of the migrant deal signed with Ankara, adding that migrant flow through the Aegean had been reduced by 97 percent since its implementation. "I see this as a success. Not only because the number of asylum seekers has decreased, but also because we can help the Turkish authorities to treat these people properly," Juncker said. When asked if EU should suspend accession talks with Turkey over recent setbacks, Juncker responded negatively. "No, I don't think so. I think it is right to continue EU membership negotiations for the benefit of all parties," Juncker said. The European Commission chief also said that the EU should not allow Turkey to easily obtain better trade relations with the bloc. Rather, Juncker said that Ankara should be forced to compromise. "I have talked to myself about this, but there have been so many events in the last 18 months, including the freedom of objectively reporting journalists, so I do not want to say that we should do so without compromising," he said. An association agreement between the EU and Turkey began in 1963, when Turkey and the European Economic Community (EEC) signed the Ankara Agreement. It was aimed at Turkey's accession to the EEC and later paved the way for accession talks with the EU. Since negotiations began 54 years ago, only 16 policy chapters have been opened out of a total of 35.